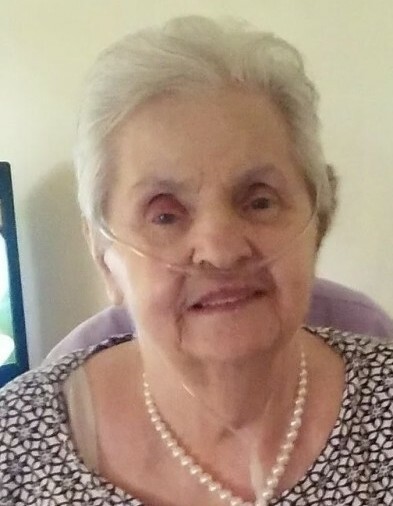 Schenectady – Fay T. Hellijas, 86, of Schenectady, passed away peacefully at her residence on Sunday, March 24, 2019, surrounded by her loving family. She was born in Lynn, MA and was the daughter of the late Sam and Mary Louise Lehan Skolnick. Fay will be remembered as a loving grandmother and great grandmother. She is the Mother of Kurt (JoAnne) Hellijas, Chris Hellijas, Carolyn Hellijas and Gail Hellijas. Fay is the sister of Lynn Rupolo, David Skolnick and the late Marlene Durand. She is the grandmother of Leeann Hellijas, Kayla (Jermi) McNally, Ryan and Joseph Hellijas, Krystal Nelson and Shane Dawson. She is the great grandmother of Savannah, Jordin, Demery and Tyler. Several nieces and nephews also survive. Relatives and friends are invited to visit with Fay’s family on Thursday evening from 5:00 to 7:00 pm at Cannon Funeral Home, 2020 Central Ave. Colonie. A prayer service will be held at 6:30 pm at the funeral home. Memorial contributions may be made to Community Hospice, 310 S. Manning Blvd. Albany, NY 12208.